Really, what little boy could resist? My rough and tumble boy certainly wasn’t one to resist the topic, and frankly, my girls were just as excited about the study, and were all over the staged fights and raids too. 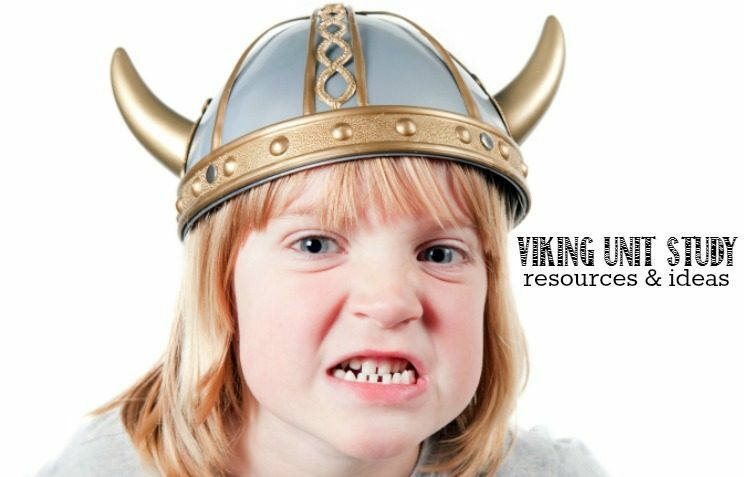 Interestingly, we learned that the Vikings may not have been as anti-Christian as they’ve been portrayed. According to Gareth Williams, curator of The British Museum, at the beginning of the Viking age, Scandinavia was primarily pagan. But, the Vikings had many gods, and it was not difficult for them to accept a Christian God alongside theirs. Scholars believed, according to Williams, that the concentrated raids on Christian churches and monasteries had little to do with differences over religion and were more about the fact that they were places of wealth and little defense. We learned a lot about Vikings. The age was a fascinating one, and I could write about it for a long time. Learning alongside my kids is a blast! Since it was our turn lead our geography club meeting, we needed to come up with some food to bring. 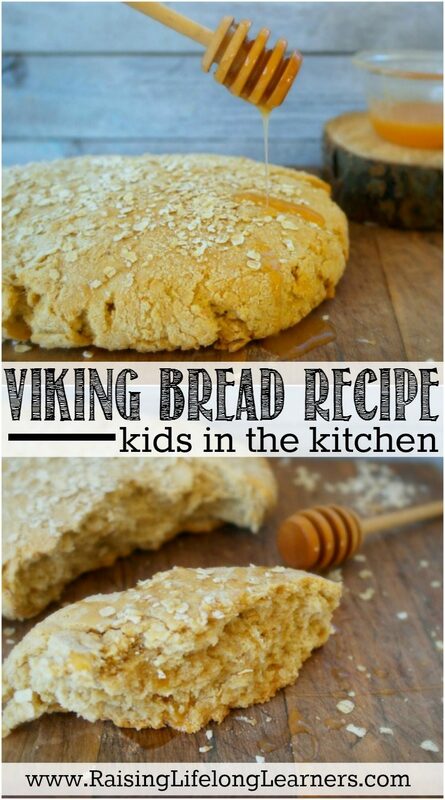 Along with some crock-pot split pea soup, we made a delicious Viking Bread Recipe. 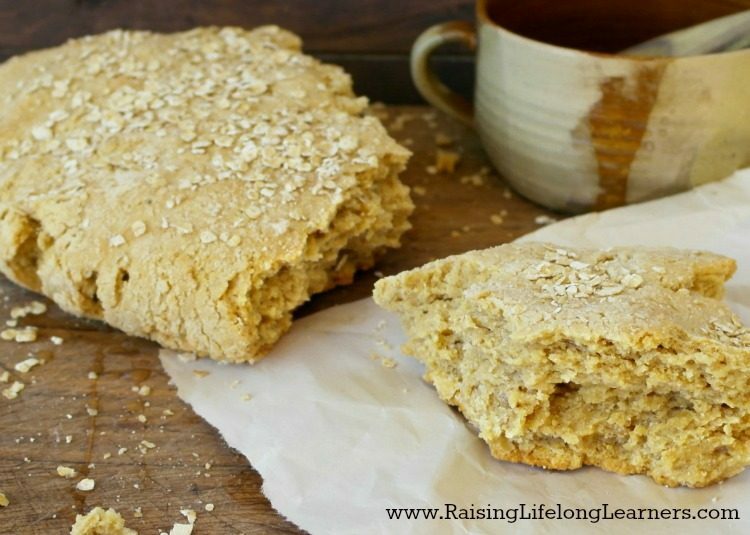 This is a heavy bread, most likely what you read about when you come across references to “brown bread” in history or historical fiction books. 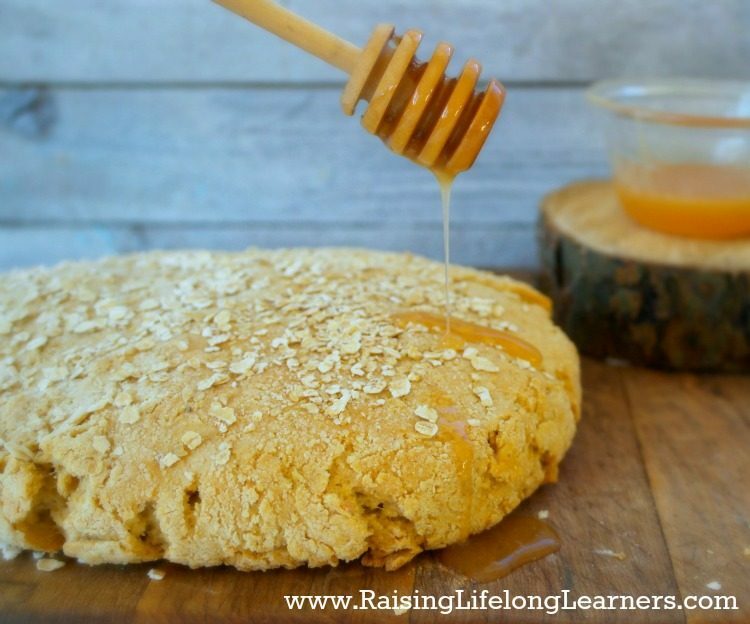 While I wouldn’t recommend it as a substitute for your Italian or sourdough dinner bread, it was really good as a snack – warm from the oven and drizzled with honey – we read that the Vikings likely ate it with honey, so that’s what we did, too. Mix all dry ingredients and then add the water. Stir all of the ingredients with a wooden spoon until you can’t stir any more. 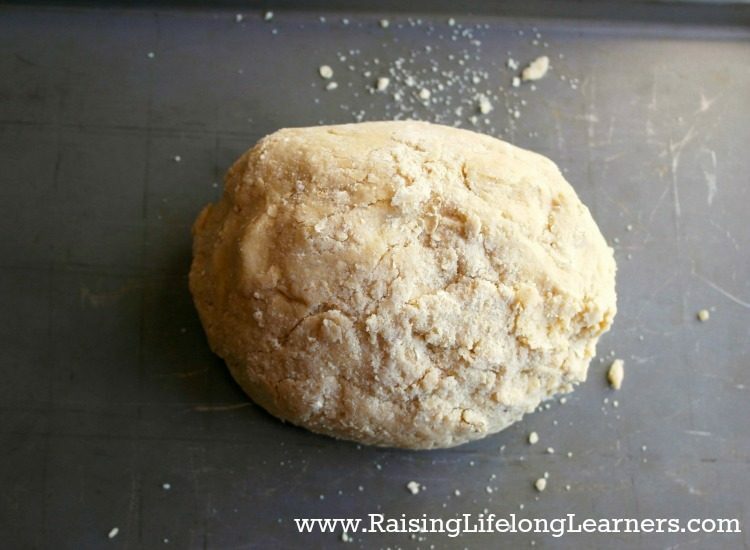 Then, knead the dough with damp hands until flour is completely incorporated. 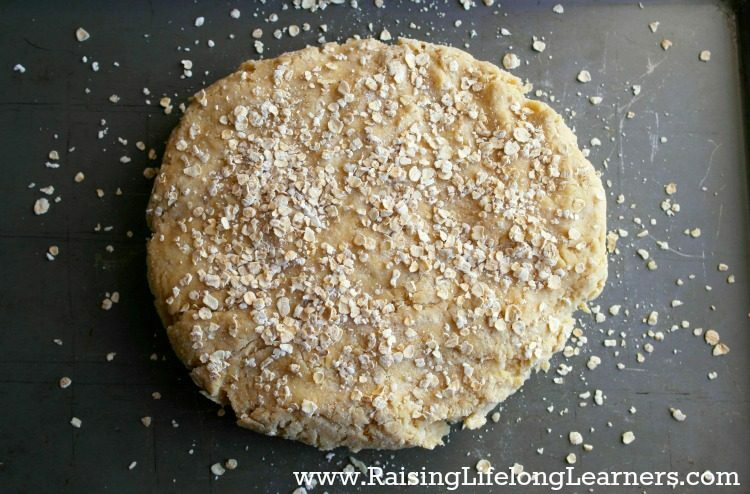 Finally, form the dough into a round, place it on a baking stone sprinkle with reserved oats, and place it in a cold oven. After an hour, pull the bread out of the oven, let it cool slightly, then rip it apart in chunks like a Viking (or cut it in nice wedges) and drizzle honey on it. What do you think? 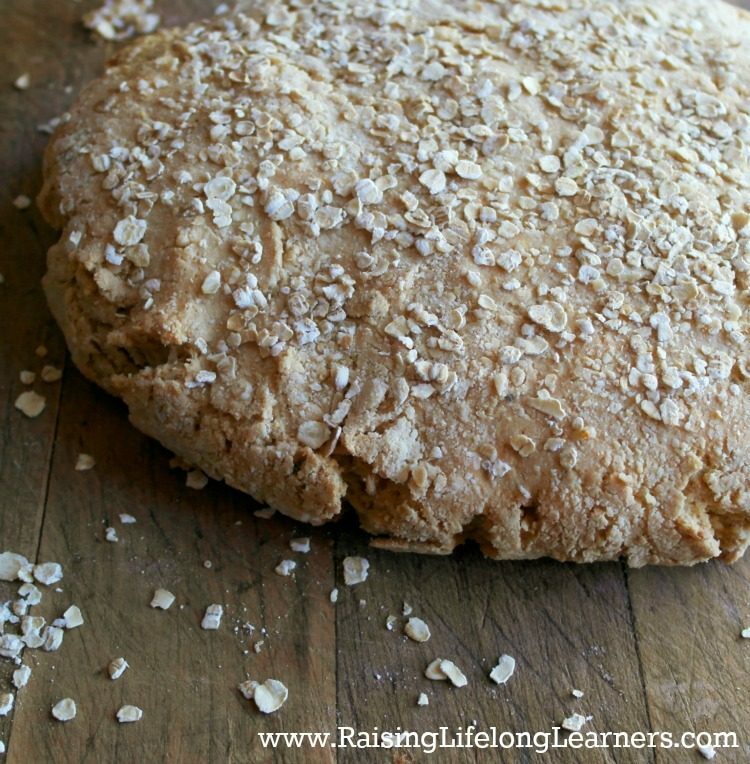 Are you ready to give it a try and cook like the Vikings?